Nowadays, we do so many things with computers that when it comes to designing something by hand, unless you're a true artist, it usually looks a bit botched up. But not everyone is an expert using Photoshop or QuarkXPress, and you might not even have a friend that knows how to help you out. What to do if you need to do something urgently such as designing a calendar with cat pictures or a business card for your company? 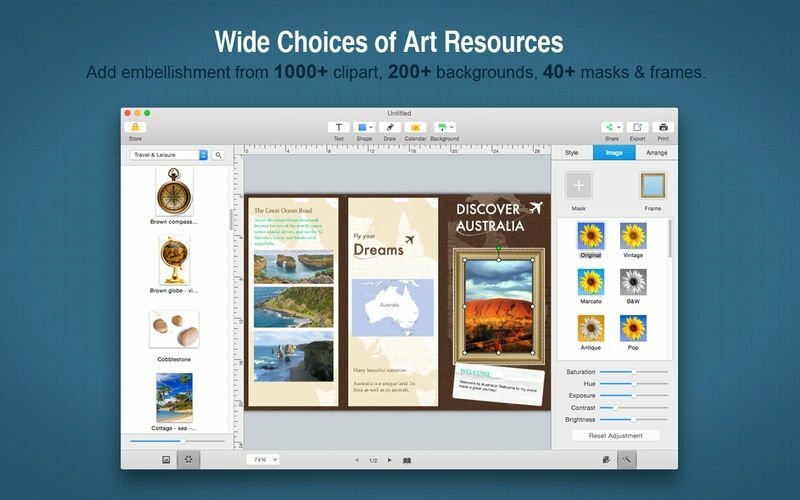 If you've got a Mac, Publisher Plus is the answer. 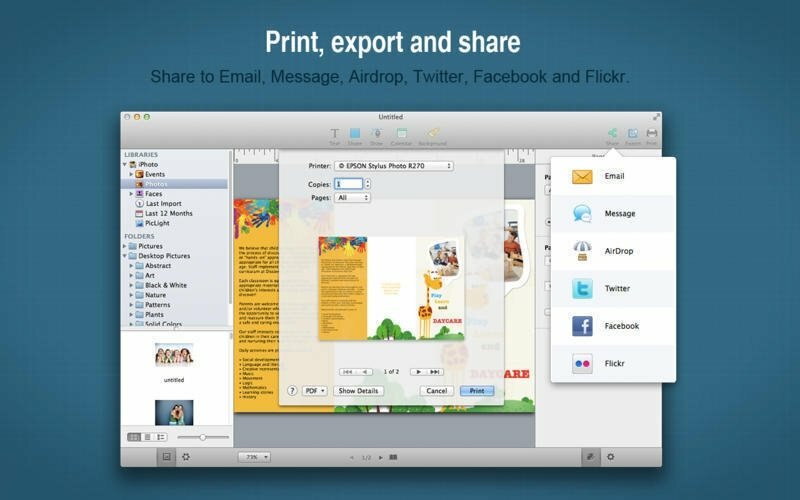 Powerful autoedition application to design pages for commercial and domestic use. 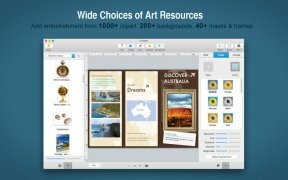 This program developed by PearlMountain Technology for Apple comes along with almost 200 predesigned templates so that you can professionally create your own leaflets, catalogs, business cards, posters, signs, calendars, brochures, adverts, certificates, invitations, magazines, letters, menus, etc. 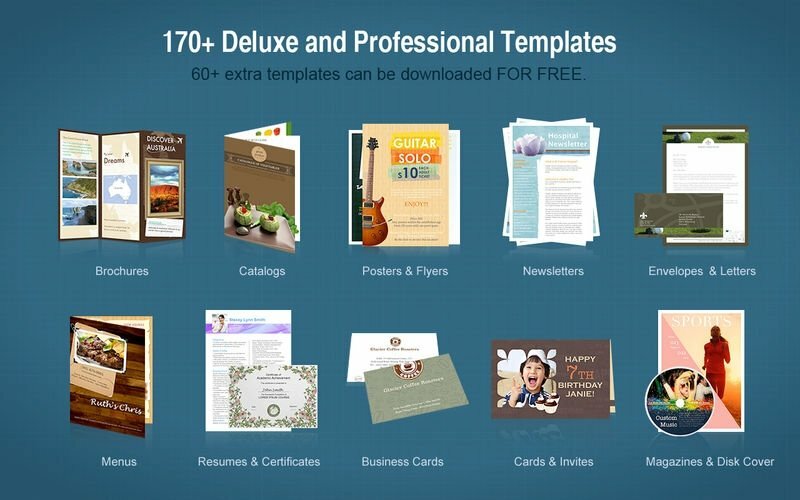 All the latter, accompanied by over a thousand default images, more than 200 backgrounds and over 40 masks and frames to be able to customize your design to make it as personal and original as possible, without any major efforts. 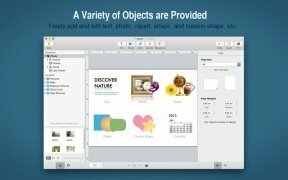 Add texts, formats, shapes or customized images in an easy manner and without requiring to be an expert designer or needing a step-by-step tutorial. 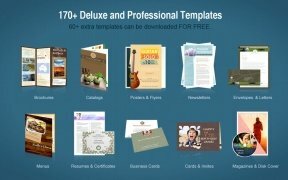 Over 170 professional templates for leaflets, brochures, news bulletings, adverts, reports, calendars, posters, and more. 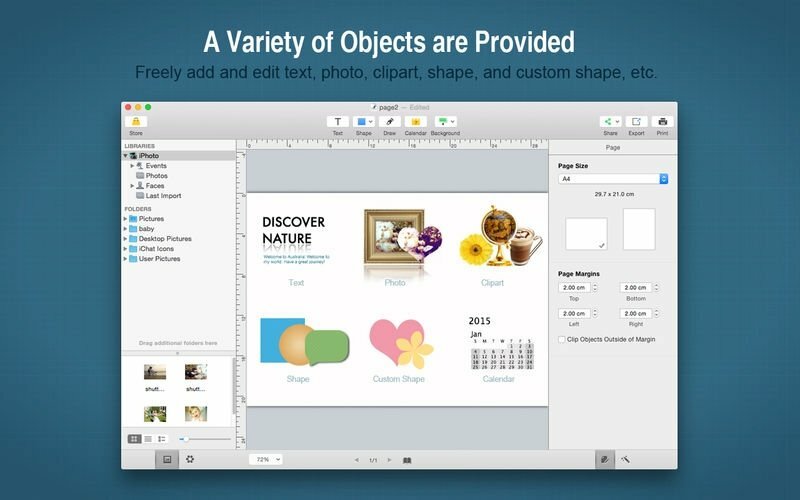 Publisher Plus is split into a basic top menu (text, shape, drawing, calendar, and background), a general menu on the left, a central workspace, and an options menu on the right. The program is very easy to use but isn't free of charge. But before you decide to pay, read up on some of its reviews to make sure that it's what you're looking for. Its users seem to be quite happy with its performance.